More pokemon but this time, drawn on paper! Not much to say about this. Someone mentioned Charmeleon and I decided to try doing it on paper; haven't drawn on paper in ages. 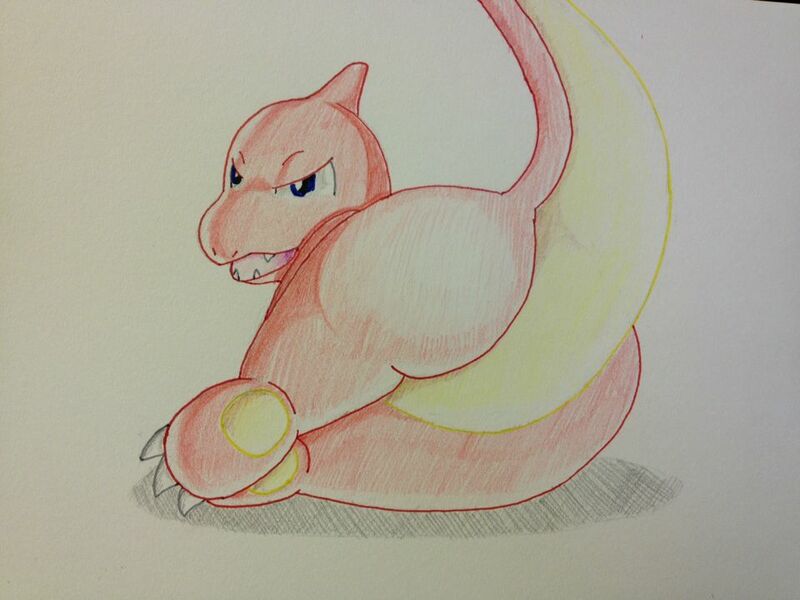 Anyway, this Charmeleon looks a bit irritated at you. Could be because you're staring at its backside for so long. Might wanna leave before you get burned. Hope you all like my traditional art as much as my digital. Also I did order a box of 100 colored pencils so maybe I'll draw Lucario's backside once I get them. This picture was done with Crayola markers and RoseArt brand colored pencils. indeed they are! so fun to snuggle! indeed it is! super duper squishy!